Muslims leaders who have addressed the Canadian Parliament (l to r): 2006 – Hamid Karzai, 1989 – His Majesty King Hussein Ibn Talal, 1956 – His Excellency Dr. Sukarno, 1950 – Hon. Liaquat Ali Khan. Photos: Wikipedia. A Joint Address to Parliament is a speech made by a distinguished visitor, usually a foreign head of state or head of government, to Members of the Senate and the House of Commons. Fifty-two heads of state and five non-heads of state have addressed the Joint Sessions of the Senate and House of Commons of Canada since 1939. When His Highness the Aga Khan delivers his address on Thursday, February 27, 2014, he will become the first faith leader in 75 years and fifth among Muslims to address the Joint Sessions, since His Majesty King George VI (1895-1952) of the United Kingdom delivered the first ever address on May 19, 1939. Photo of the Centre Block and Library of the Parliament of Canada from the Gatineau side, overlooking the Ottawa River. Photo: Wikipedia. These extra-parliamentary events usually take place in the House of Commons Chamber and the regular proceedings of the House are suspended for the occasion. The assembly does not constitute a sitting of the House and the Mace (a large, heavy and richly ornamented staff which is the symbol of authority of the Speaker) is not present at its usual location on the Clerk’s Table. The proceedings are jointly presided over by the Speakers of the Senate and of the House. Sample of the Canadian Hansard from The House of Commons, 1895. Shows sample of several members speaking as described in the text. The Canadian Hansard is not strictly verbatim, and is guided by the principle of avoiding “repetitions, redundancies and obvious errors.” Photo: Wikipedia. The House usually decides to broadcast the event (see link below) and to append the text of the address to Hansard, the daily printed record of the debates of parliament. The Hansard was adopted by Canada in 1880 and quickly gained a record for its excellent quality. Distinguished visitors are met in the Rotunda of the Centre Block by the Prime Minister, the Speakers of both Houses and other dignitaries where they sign the Senate and House of Commons visitors’ books. The Rotunda, also called the Confederation Hall, is the formal entrance to Centre Block. Its grandeur immediately reveals the significance of the building and the institutions it houses. It welcomes visitors with an elaborate representation of Canada’s political landscape. With carved and sculpted symbols of every province and territory, it also welcomes every Canadian home. Photo: Wikipedia. US President Barack Obama signs the distinguished Visitors’ Book of the Canadian Senate and House of Commons during his visit to Ottawa shortly after taking office. Prime Minister Stephen Harper is standing to President Obama’s right. Photo credit: The Whitehouse. At the appointed time, the official party enters the House of Commons Chamber. After being introduced by the Speaker of the House, the Prime Minister provides an official welcome and invites the visitor to address the assembly. WHO ATTENDS AND WHERE DO THEY SIT? When a Joint Address takes place, the House of Commons becomes a grand hall, accommodating both Members of the House and the Senate, and the various guests invited for the occasion. The seating arrangements in the House are not what they would be for a regular sitting. The Speaker of the House takes the Speaker’s Chair, with the Speaker of the Senate seated in a chair to his or her right. The Clerk’s Table is cleared of its usual material and a lectern placed at its head. The Prime Minister and the distinguished visitor are seated along the side of the Table to the Speaker’s right; the Clerk of the Senate and the Clerk of the House of Commons are seated along the other side of the Table. Senators and Justices of the Supreme Court are seated on the floor of the House in front of the Table. Members of the official delegation and other dignitaries are seated along the back wall of the Chamber. Members of the House of Commons take their usual seats. All seats in the galleries overlooking the House of Commons are assigned to invited guests. 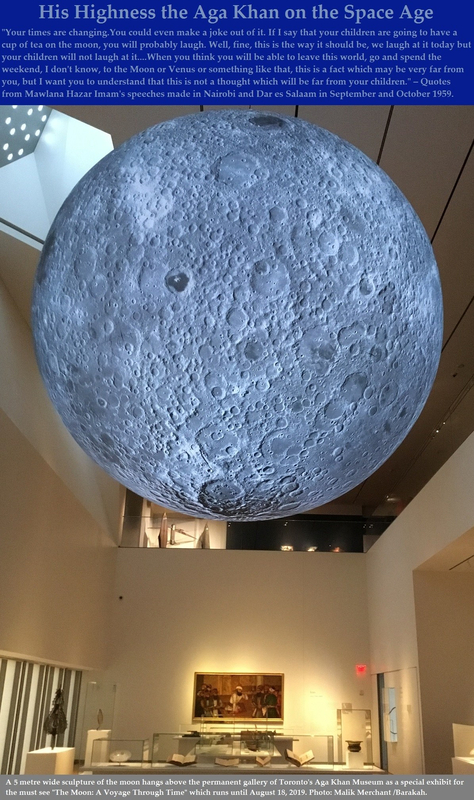 Gallery privileges are suspended and access to the galleries is strictly controlled for this occasion. At the conclusion of the address, the Speakers of the Senate and of the House make remarks. At this point, the official party exits the Chamber and proceeds to the House of Commons Speaker’s Chambers. Her Majesty the Queen has addressed the Canadian Parliament on three occasions. President John F. Kennedy addressed the Canadian Parliament in 1961. Here he is seen meeting with His Highness the Aga Khan, Prince Karim al-Husseini, at the Oval Office, White House, on March 14, 1961. 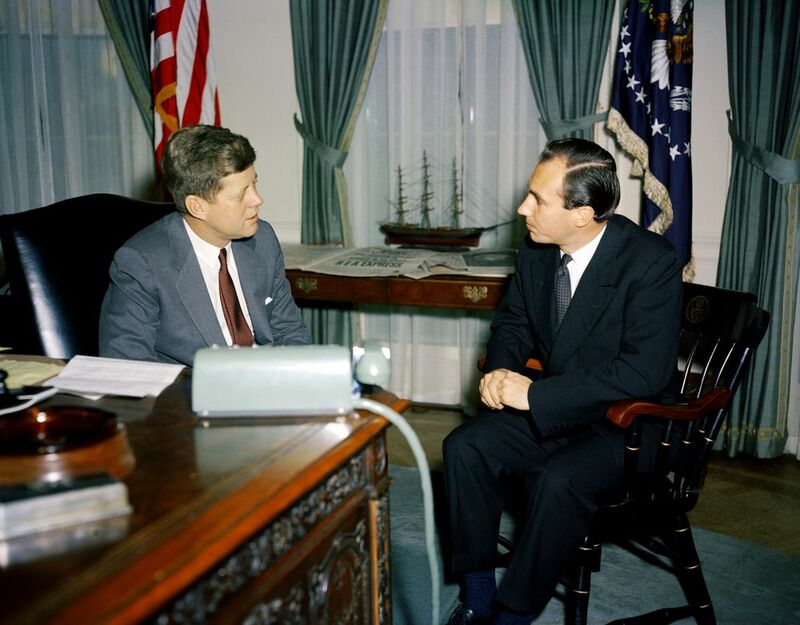 The Ismaili Imam had first met the President in France some six years earlier. Photo: Robert L. Knudsen (Robert LeRoy), 1929-1989. His Highness the Aga Khan, 49th Ismaili Imam and direct descendant of the Prophet Muhammad, with Baroness Margaret Thatcher at the banquet hosted by His Highness in London on July 3, 2008 during his Golden Jubilee Celebrations. Baroness Thatcher addressed the Canadian Parliament in 1988 as Prime Minister of Great Britain. Photo: Mawlana Hazar Imam Shah Karim Al Hussaini Aga Khan, Golden Jubilee Souvenir, published by Islamic Publications Limited. 2012. Copyright. Date posted: Monday, February 17, 2014. Last updated: Thursday, February 20, 2014, 8:00 AM EST. 3. For video of Kennedy’s speech click JFK Library Archives. 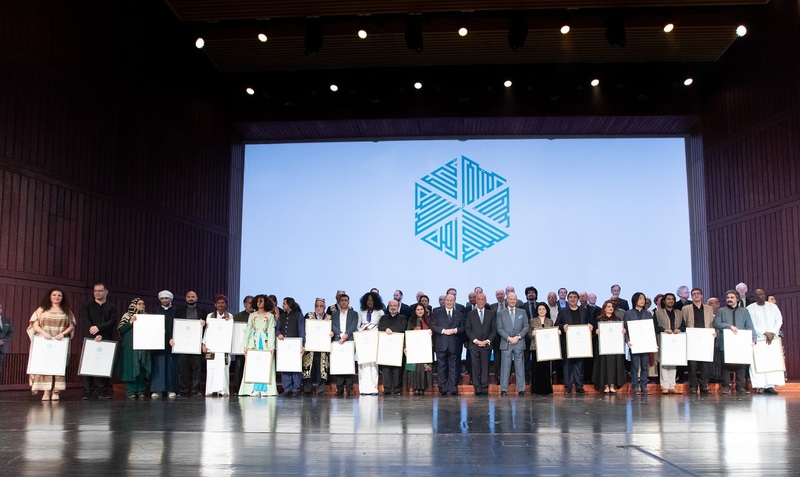 A great honor for the Ismaili community. An extra ordinary development and event for Ismailis to be proud of! I am very proud to be a Canadian Ismaili. The Aga Khan has done lot for us and the world. Thank you for this informative piece. You always set the stage Simerg. C’est avec une immense joie, beaucoup d’émotions et une grande fierté que je viens de prendre connaissance que le Premier Ministre canadien, Monsieur Stephen Harper a invité Son Altesse Le Prince Karim AGAKHAN, notre Imam du temps présent, à délivrer un discours au Parlement Canadien le 27 Février prochain. Permettez-moi, en tant qu’ismaili et citoyen français d’exprimer à travers vous, au Peuple Canadien, au Gouvernement Canadien ma sincère gratitude pour ce geste si symbolique. Cette invitation prend toute sa dimension historique, au moment où le monde est traversé par cette espèce de conflits où l’idéologie, la politique et une forme de crise d’ignorance ont pris une part importante au détriment de l’Ethique de la Foi religieuse qui est propre à tous les croyants du Livre. Le Canada reste pour moi le pays d’Excellence pour sa tradition d’hospitalité, d’accueil, de tolérance. Votre pays que je respecte beaucoup a transcrit et adopté dans l’approche des problèmes complexes du « vivre ensemble » le pluralisme, la diversité et la méritocratie comme des concepts ou de dogme de grande vertu. La communauté ismailie à laquelle j’appartiens n’oubliera jamais le geste du Peuple Canadien Canada et nous lui serons reconnaissants pendant des générations. Je vous prie de transmettre à votre Gouvernement notre sincère gratitude pour ce beau geste et nous suivrons avec intérêt et fierté l’allocution de notre Imam le 27 Février au Parlement Canadien. Veuillez croire Son Excellence Monsieur l’Ambassadeur l’expression de mes sentiments respectueux. Good to see how traditions live on in the Parliament of Canada. Words are properly capitalised – Table, Visitors’ Book. Regarding who attends it’d be nice to see the lists from the side of the Government and our Councils. I gather there’s quite an invitation-frenzy going on on both sides. Just an err: I don’t see how anything is advanced by counting the number of Muslims that have addressed the Houses. More relevant is the Aga Khan is just the 6th nonHead of State to do the address. Three previous ones were proforma Secretary-Generals of the United Nations. Mandela was the catch. The theme however could touch on growing intolerance against the Muslim faith, since quite predictably the speech by His Highness will be about pluralism/globalism. A remarkable personality of the modern time.Champion of the under-privileged, marginalised, isolated people. Visionary, bringing to reality the change in the lives of millions of people. Humanity in transition towards pluralism, diversity, tolerance, ethics, respect, knowledge. Moving away from ethnic and national confrontations,reconciliation and progress. 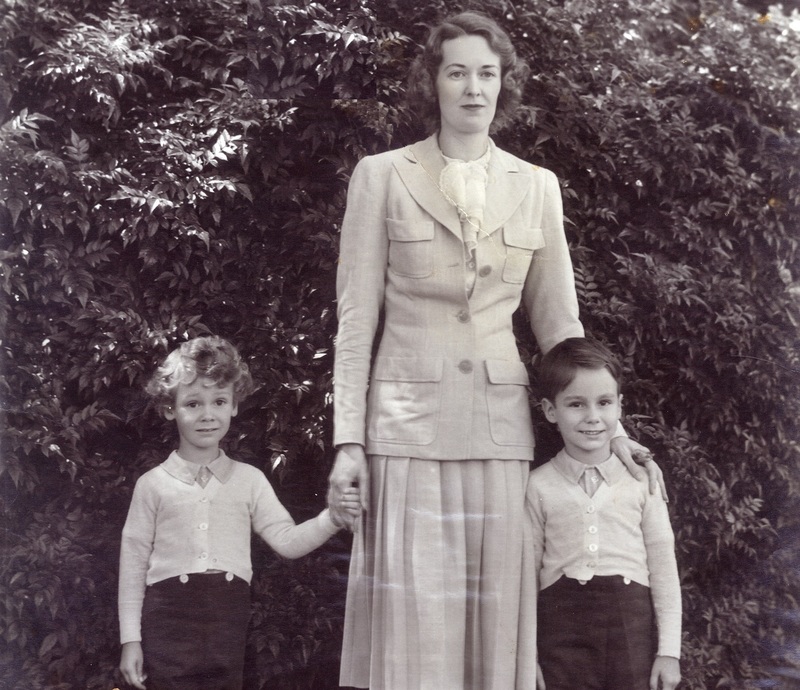 I am thankful to be living in the time to witness the Work and Life of THE AGAKHAN. I am proud to be the follower of His Highness the Agakhan IV. I am also proud that he has been invited by Honourable Prime Minister Steven Harper to address joint session of Canadian Parliament on February, 27, 2014. Its a great honour for our community. 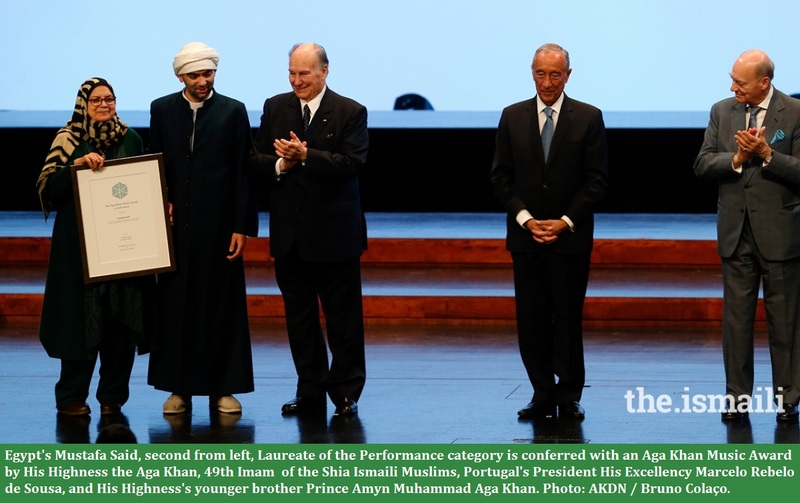 Most admirable and befitting standing of The Aga Khan in the Global Community. I am most proud of His Highness to grace this visit at the invitation by Prime Minister Steven Harper on behalf of Canada.